Finishing a marathon and emerging the winner does not just happen. Most people have admired such athletes only to faint at the starting point. Besides being cheered by the audience, you need to cheer yourself especially if you realize you are almost losing it. The athlete must ensure that they get out of the field safe whether losing or winning. It is good to have all that you need. Since it’s a competition, consider carrying blocks that may block your competitors from the finishing line. You may also consider having scents that keep others from the field and that way you emerge the winner before you strain your nerves. If you love music you can carry the earphones and dance along the music as this may attract some of the contestants. However, ensure that you only listen to the music in you last miles when the runners are not over crowded. Keep a distance as you dance and when the others are carried away by the music, it’s your time to run further. You only need to take a breath and focus on the runway. At the low point, make efforts to drag some of the runners and the others may be destructed. On recovery, you can run across the field and you can get back to the position you held or even better. The low points will always pass if you allow yourself to get over them. Allow yourself to open after every 20 minutes and run moderately to ensure that you are not exhausted before the race is complete. After all, it does not turn to be a walk simply because you are in it. You are neither the first nor the last in the race. Don’t lose yourself in the race. You do not have to be anxious simply because you are contesting. You must take every opportunity kindly especially while rehearsing. Try to run before a mirror and see the distance you can cover. This gives you a chance to compete with yourself. If you realize the others in the run have overtaken you, try an opposite direction and jump as you get close to the finishing line. 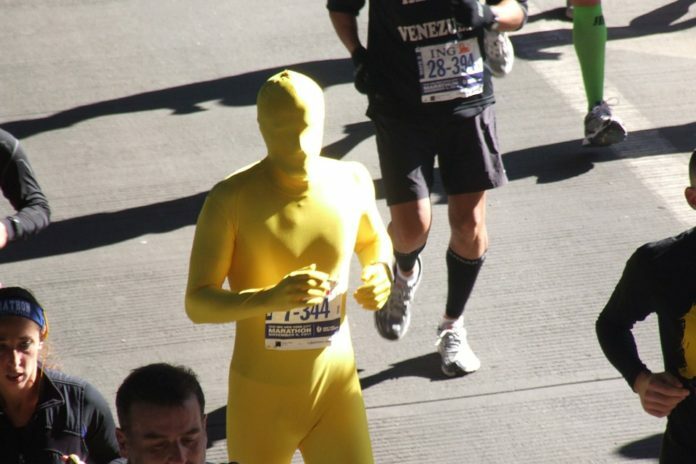 Most of the runners who have fainted in the course of the marathon were in one way or another hesitant to ask for help. Don’t hesitate from taking the liquor if you want to run high and fly to the sky. The means do not matter for as long as you go through it. Not unless you are competing with nonhuman do not be hesitant to ask for help from those around you. Do not fail to ask for medical attention at the finish line as there are medical volunteers who will help you regain your strength. You should not be hesitant to get your share of glucose despite the finishing position.